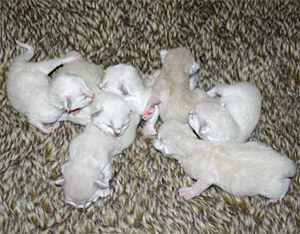 Seven kittens were born in this litter on the 11:th of November 2009. The theme this time is the Eurovision Song Contest this year, held in Moskow, Russia. The girls - S*Eurovisions Firefly [Cyprus 2009], S*Eurovisions Always [Azerbaijan] (blue mitted), S*Eurovisions Is It True? 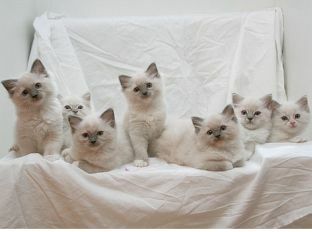 [Iceland 2009] and S*Eurovisions Fairytale [Norway 2009] (blue lynx mitted). The boys - S*Eurovisions Illusion [Bulgaria 2009], S*Eurovisions Love Sympony [Slovenia 2009] (blue mitted) and S*Eurovisions Be My Valentine! 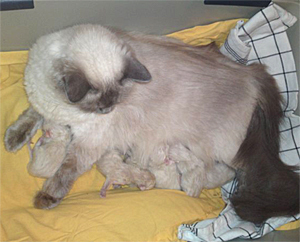 [Ukraine 2009] (blue lynx mitted).